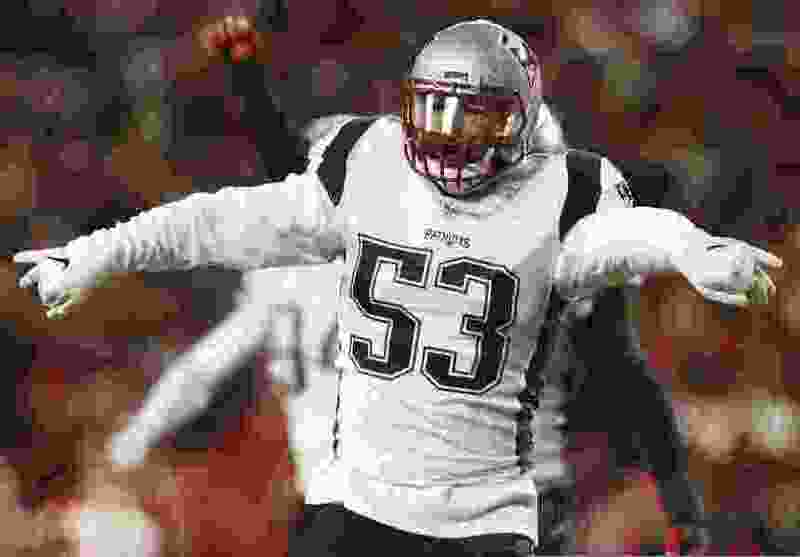 Kyle Van Noy has found a place in life occupied and enjoyed only by those who have faced and surmounted challenges that others either could not or would not, and who help those others aspire to do better, to do likewise. Football has been both an avenue to and a roadblock in that ascent. It started when he was a high school star in Reno, continued through his undulating days as a linebacker at BYU, took a dip when he was drafted and misused and undervalued by the Detroit Lions, and then ramped up to his current state and status with the New England Patriots. Sunday’s Super Bowl is his latest hurdle, his third straight Super Sunday spent on the field with the Pats, as he reaches for Vince Lombardi’s Trophy, again. He’ll extend his arm this time with the intention of clutching the thing, same as it ever was, of holding it with satisfaction and even more, with gratitude. That last word is one Van Noy uses a lot these days. Van Noy, indeed, has found a home smack dab in the middle — or, more accurately, near the end — of a football dynasty in New England. Everyone says it’s near the end, anyway, what with Tom Brady being 41 and Bill Belichick barreling toward his 67th birthday. It can’t go on forever, can it? Either way, people on the outside wonder how Belichick has managed to dominate in an environment as competitive as the NFL. Brady, the best quarterback in the history of the game, is part of it. But so is the coach’s acumen. Hauling Van Noy out of the malaise of Detroit is just one example of that. In his time in New England, Van Noy has gone beyond simply being a contributor to the success of the defense, he’s also climbed to a position of leadership. In the AFC championship game, Van Noy made a whole lot of them: 10 tackles and two sacks. That’s the hard-gained perspective of a mature 27-year-old man who has conquered the aforementioned ascent. The story has been told of his mistakes made as a teenager, among them a DUI, just before he was scheduled to sign at BYU and was prevented from coming to the school for a year. Despite offers to go elsewhere, he waited and came to BYU, anyway. It wasn’t perfect. He struggled at various times, wanting to quit, getting sick, losing 30 pounds, and, ultimately, fighting his way to stardom. 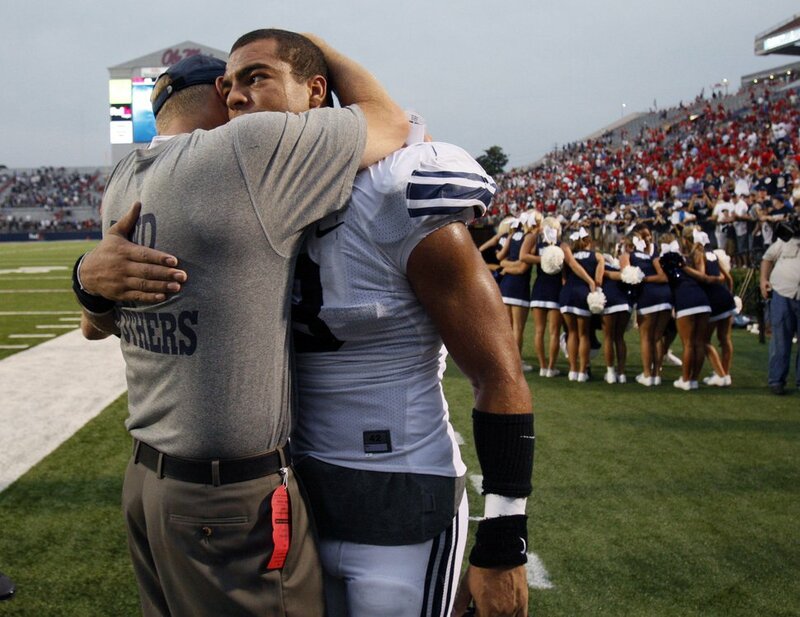 BYU was a bit strict and straight for him, but he found his way. On the field, he shined. Any Cougar fan remembers the performance he put up in the Poinsettia Bowl, at the end of his junior season, when he scored two touchdowns — on a strip sack and fumble recovery in the end zone and a pick-6. He also blocked a punt and recorded four tackles for loss. That was the highlight of his football career — until he was drafted a year later in the second round by Detroit, a highlight that sadly transformed into a lowlight, an experience that dragged him into more than a few moments of doubt. Much of that changed when the Patriots traded for him, giving him the chance at the success and the gratitude he feels now. He is lost no more. Van Noy, along with his wife, Marissa, have started a foundation to help adopted kids and those in foster care. The linebacker is familiar with the challenges children and families in those circumstances face, considering he, himself, was adopted. He said helping in that manner brings additional fulfillment to his life, a life blessed to be playing football, to be playing for another championship, to have a positive effect on the lives and the ascent of others.